The research appeared online May 12 in the Journal of Bone and Mineral Research. The study team, co-led by senior authors Babette S. Zemel, Ph.D., and Struan F.A. Grant, Ph.D., both from CHOP, analyzed a cohort of 918 children and adolescents, from 5 to 19 years old, all of European ancestry, who were part of a larger study group, the Bone Mineral Density in Childhood Study. That national study enrolled healthy U.S. children at five sites starting in 2002, with follow-up visits lasting until 2009. The current researchers used questionnaires in which study participants estimated their amount and type of physical activity during childhood. The study team also measured the participants’ bone density and genotyped their DNA for over 60 genetic variants known to be associated with bone density. The researchers found that across the board, children had higher bone density scores if they had higher levels of physical activity. This even applied to those with a higher genetic risk for bone fragility. Importantly, the benefits of activity were driven entirely by high-impact, weight-bearing activity, such as gymnastics and soccer, which involve sprinting, turning or jumping actions. The researchers note that replication studies by other groups are going to be needed to follow up their study, and that other groups should investigate similar questions in populations other than the children of European ancestry covered in this analysis. 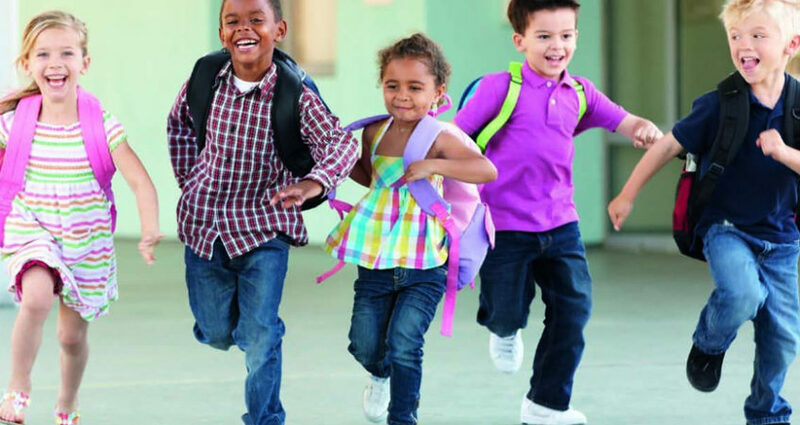 However, based on their current results, the researchers advise that pediatricians, schools and child activity programs should encourage high-impact physical activity for children who are generally healthy. The current Physical Activity Guidelines issued by the U.S. Department of Health and Human Services recommend that children and adolescents accumulate at least 60 minutes of moderate intensity physical activity every day. “Our data support the activity guidelines and specifically indicate that more emphasis should be placed on accumulating high-impact, weight-bearing physical activity for improved bone health,” said Zemel, the director of CHOP’s Nutrition and Growth Laboratory, and a national expert on childhood growth and bone density.